At Anand Medical Spa, we offer a variety of Skinmedica medical grade chemical peels that have a combination of a lactic acid, salicylic acid, resorcinol, and retinol acid such as the Vitalize and Rejuvenize peels. A chemical peel is a skin rejuvenation or skin resurfacing procedure that makes the texture of your skin smoother and gives you even skin tone by removing the top layers of dead skin. 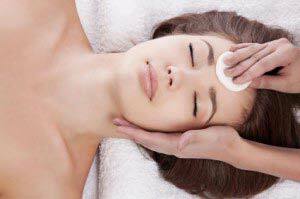 Chemical peels produce controlled injury to the skin that promotes the growth of new skin with an improved appearance. There are a variety of chemical peels out in the market including Skinmedica’s Vitalize and Rejuvenize that we carry, “Jessener” solution, TCA and phenol. The different chemical solutions produce different degrees of injury to the skin. There are two layers of the skin; the outer layer is called the epidermis. Mild to moderate peels such as Skinmedica peels work at the epidermal layer and are safe with minimal risk of any complications, but are also very effective at treating the conditions listed above. Deeper peels (eg. TCA and phenol peels) produce injury within the dermis and can reverse moderate-to-severe photoaging and wrinkles, but require longer recovery periods and carry a higher risk of complications. And this is why we prefer using Skinmedica peels on our clients. At your visit, we will discuss the best Skinmedica chemical peel choice for your skin. 1. How do I prepare for treatment? Please see our pre-treatment instructions via link at the bottom of the page. 2. When is the best time to do a peel? We recommend the fall and winter season. We don’t recommend performing a peel during the summer unless you will be very cautious about avoiding prolonged exposure to the sun, and using sun protection via sunscreen, wide-brimmed hat and sunglasses. 3. What should I expect during the procedure? The complete treatment is expected to take 30 minutes, which includes ample time to address any questions you may have, and a discussion on your post peel care. The actual application procedure is approximately 15 minutes. Tolerance to the procedure varies from patient to patient. A mild tingling or burning sensation is normal. A handheld fan can be used during the procedure to minimize any discomfort, which usually subsides in a few minutes. 4. How will my skin look right after the Skinmedica Vitalize or Rejuenize Peel®? The peels can leave a minimal yellowish tinge on the skin due to the retinol component that is expected to last no longer than 2-3 hours. You may experience mild to moderate redness after the chemical peel procedure. The extent of redness varies from patient to patient. You are advised not to wash your face for twelve hours after the treatment. 5. Will I peel after receiving a Vitalize or Rejuvenize Peel® treatment? Most people experience mild to moderate peeling 48 hours after the treatment that generally lasts for two days so essentially you have two days downtime. Even if you are one of the few people who don’t actually peel, the peel is very effective in treating the above conditions. Your post-peel regimen will include SkinMedica® Sensitive Skin Cleanser or Facial Cleanser or an OTC brand such as Cetpahil, moisturizer appropriate for your skin type such as Skinmedica TNS Ceramide, and Daily Physical Defense® Sunscreen Broad Spectrum SPF 30+. 6. How can I protect my skin post peel? 7. When can I resume my regular skin care regimen? 8. How often can I have the Vitalize or Rejuvenize Peel® treatments? Vitalize or Rejuvenize Peel® treatments can be repeated every 3-4 weeks. Multiple treatments may be required to achieve desired results. The number of treatments is based on initial level of skin damage, and can vary from 3 to 6. The effect of the peel is cumulative and results are favorable when the peels are used in conjunction with SkinMedica® daily product regimen such as our Lytera cream which helps to lighten and brighten your skin between peels. 10. What should I try if I have never had a peel? If you are a newbie and want something mild, then you can certainly try our lightest Skinmedica peel called our Illuminize peel which will treat mild imperfections, and give you a brighter and more radiant complexion with very mild peeling and minimal downtime. 11. Are these peels safe for darker complexions? Our Skinmedica Illuminze and Vitalize peel is safe for all complexion types. 12. Can pregnant or lactating women receive a Vitalize Peel®? 13. What are other contraindications to receiving a peel? Please see our pre-treatment instructions via the link below for a complete list.